: Blog plans and a little bit of sewing. Blog plans and a little bit of sewing. Oh dear, I've let things slide a bit. I missed my Sunday blog plan post and now we are on Thursday! I've not felt inspired to write this week, my mood's been a little out of sorts. On Monday we sadly had to go to a friend of the families funeral which is not a nice way to start a week but as funerals go she had a lovely send off and what was wonderful the sun was shining all day. So reviewing my last blog plans from 3rd Feburary, the posts I had planned went out and I managed to resolve the problem with my blog signature position, which has been really frustrating me. I just want to adjust the size of my signature now but for some reason it wouldn't work when I tried so I thought best left alone for now. My 5 on a Friday post is going to be linked to my bloggiversary! This Friday it will be 4 years since I started blogging. Wow! I've never stuck with a hobby for so long, yay me! One of my patient's gave me a poem book he self published and one of the poems is about his wife. So I thought it would be an apt poem to share on Valentines day. I've not been social at all this week. But I will be joining in some linky parties at the weekend. Now that I have resolved the positioning of my signature I want to sort out the size of it and make it a little smaller. 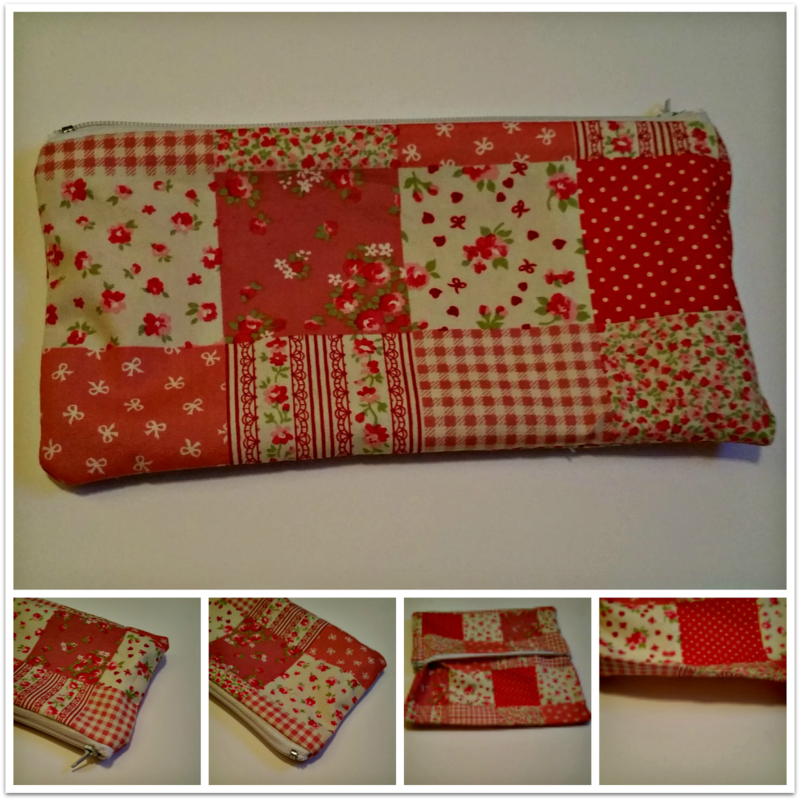 I wasn't inspired to blog this week but I was inspired to sew. 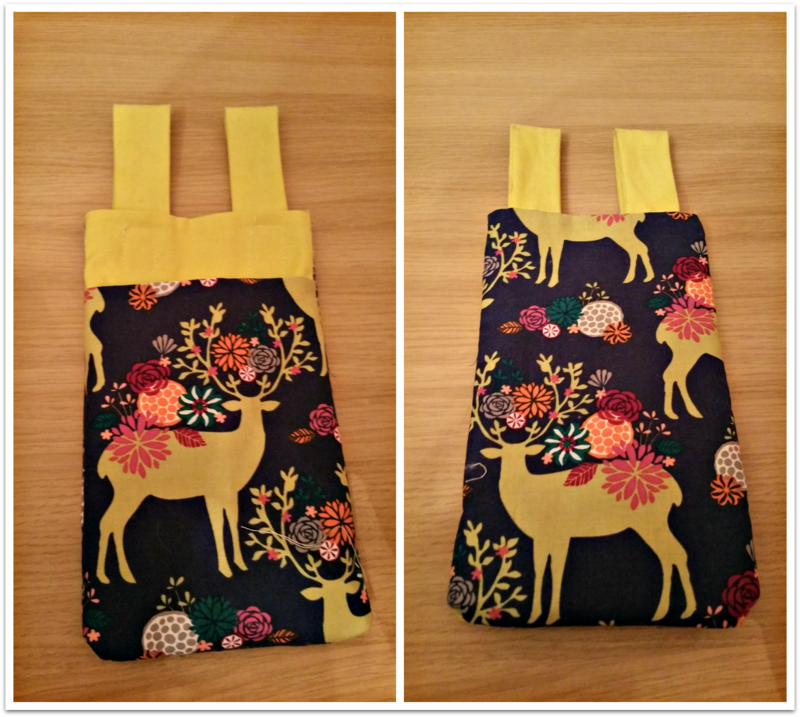 I often listen to an audiobook in bed on my mobile and frequently end up knocking my phone off it, so I decided to make a handy hanging pouch for my mobile phone which attaches to my bedside drawer. I really enjoyed making this as I got to use my new quarter inch foot and I've never sewn on velcro, which actually wasn't too bad to do. I will do a tutorial for this but that will be next week. All in all, the week wasn't a complete wash out and I've managed to achieve a bit, I'll be back on it next week! How's your weeks been? Has anyone in the UK been watching the Great British Sewing Bee? I missed the last series but I'm enjoying this one. I have no idea how they all do it. I could not work under that pressure! I'd get so stressed. Obviously all the contestants are skilled at sewing and I love watching how they all get on. It's really impressive. I really love the fact you have got people of all ages and walks of life. There's not many compititions which you have some one of 20 competing with people in their 60's, I mean the winner of the first series was 81! How fab is that. Cute makes and I loved last night's GBSB, the men are good this year! I"m so sorry for the loss of your friend. Congrats on 4 years of blogging, & thanks for joining us at the #HomeMattersParty - we hope to see you again next week. These are adorable. Thanks for linking up to Funtastic Friday. We hope to see you again this week.